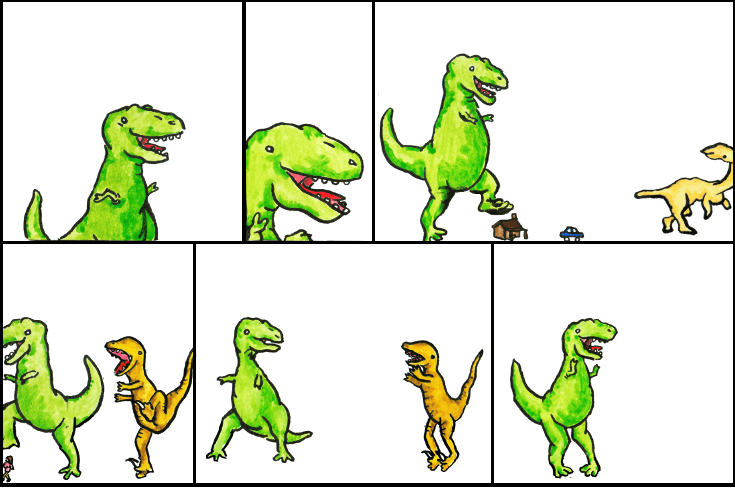 Dinosaur Comics - January 16th, 2012 - awesome fun times! January 16th, 2012: Tomorrow (tomorrow!) Joey "A Softer World" Comeau and I, Ryan "A Softest World" North will be sitting down and talkin' comedy at the University of Toronto! 7 pm in the JCR of Trinity College is where it's at specifically. You should come!